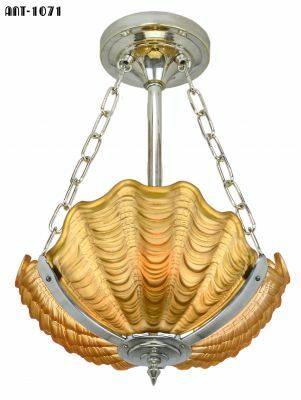 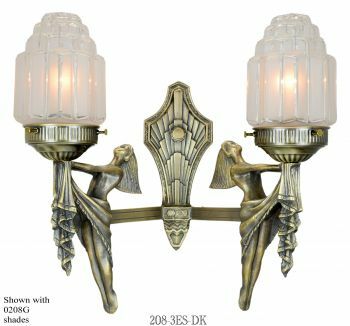 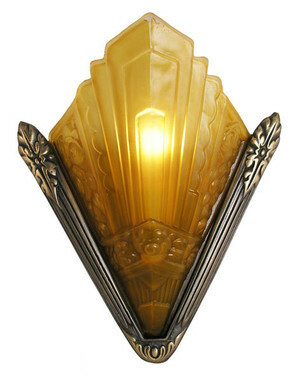 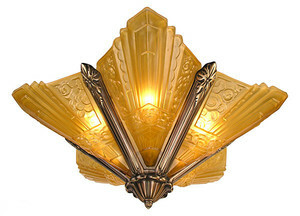 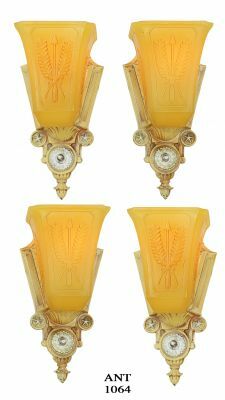 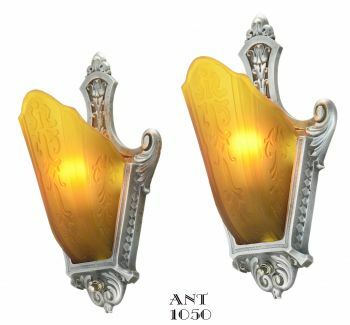 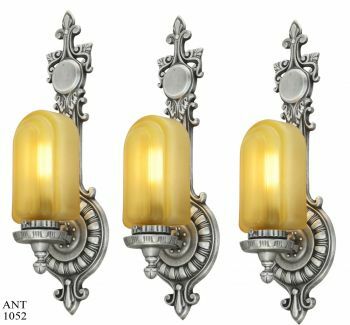 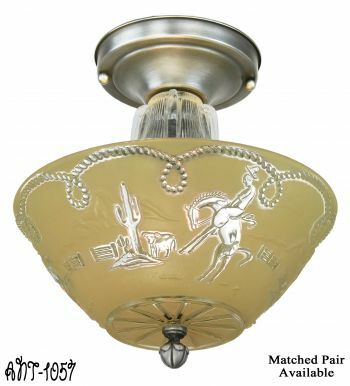 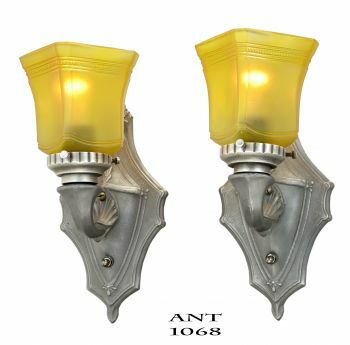 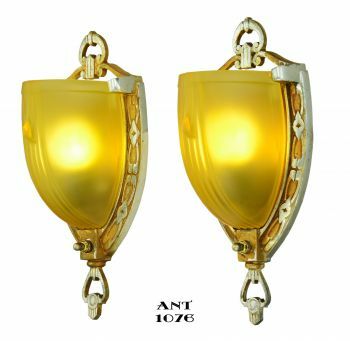 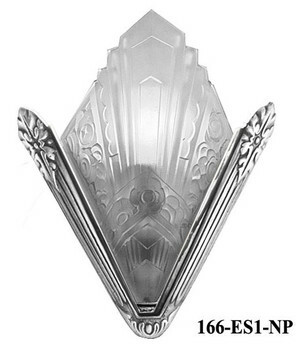 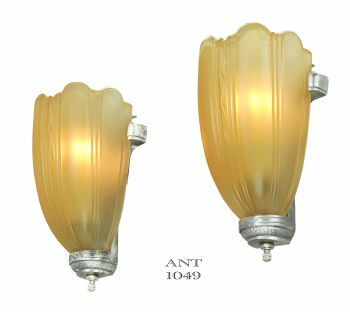 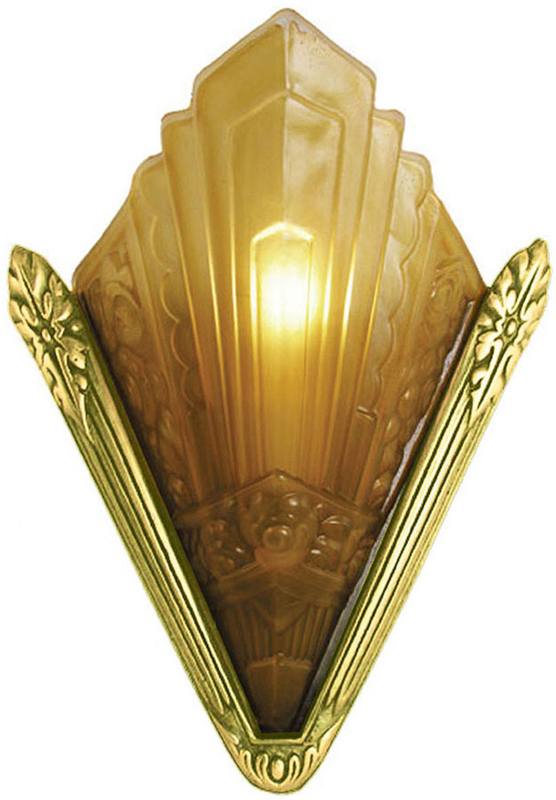 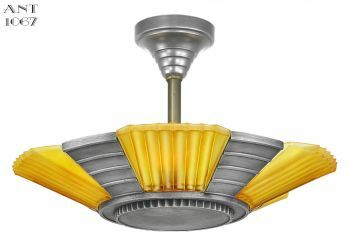 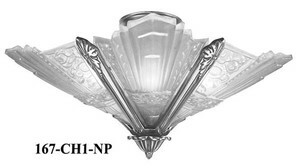 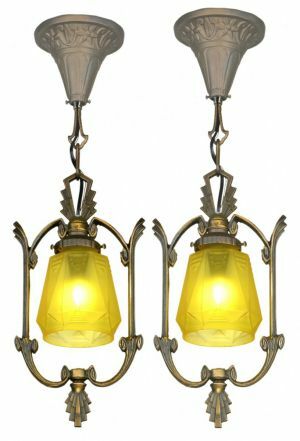 Although we specialize in American antique lighting, we couldn't pass up this French Art Deco design slip shade sconce. 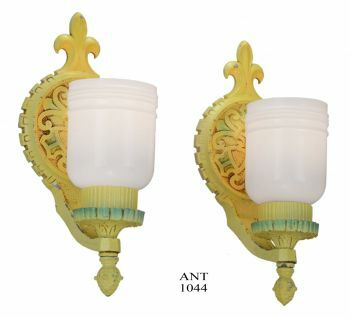 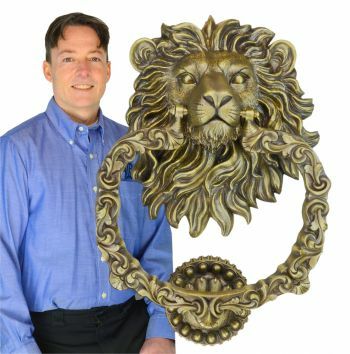 When our antique originals sold quickly, we decided to make them as reproductions. 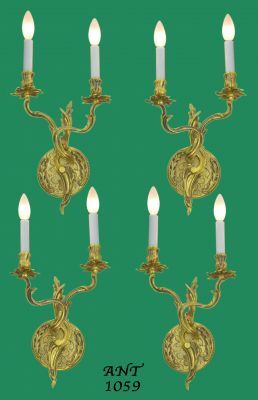 We bought the originals from a restoration project in Seattle. 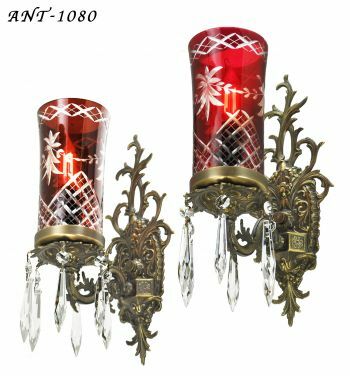 They are in the style and quality of Noverdy and Vianne, who are now mostly out of business. 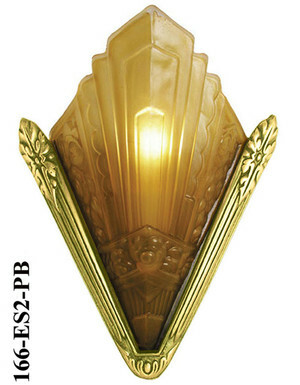 Pictured is our Polished Brass finish. 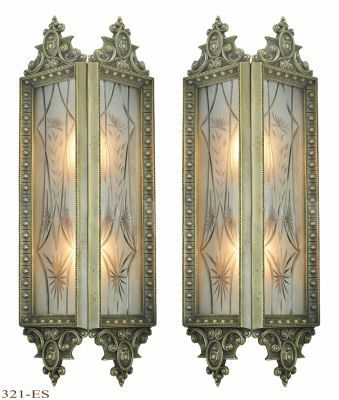 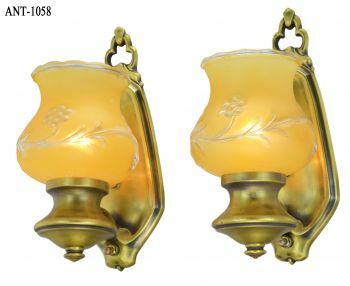 These part numbers are for a polished brass single sconce, complete with glass shade. 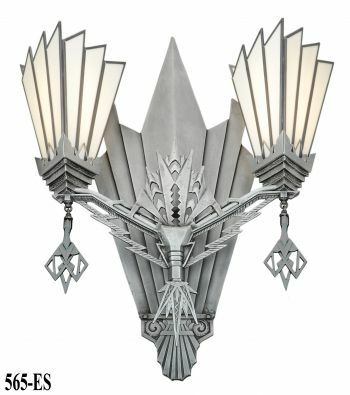 This is a nice large Art Deco sconce, which is seldom found. 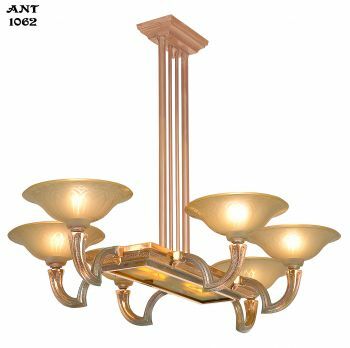 The basic fixture is solid heavy brass, left unlacquered and brought to a high polish. 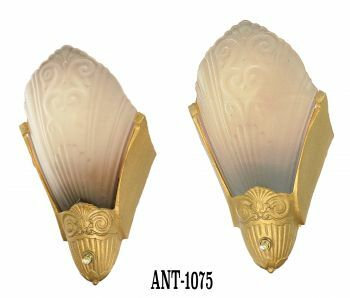 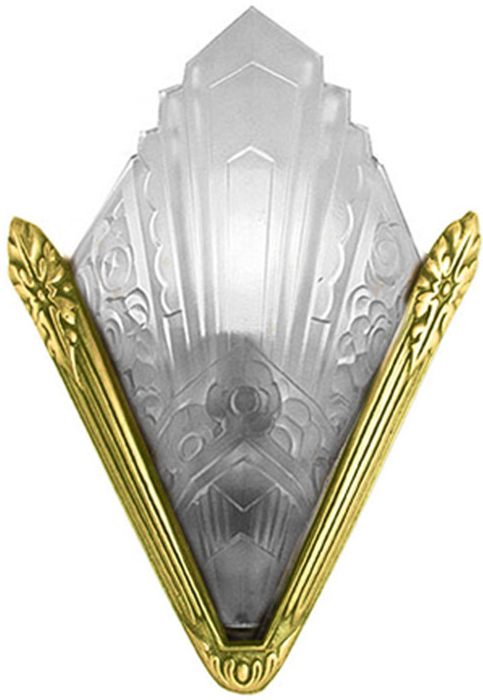 This is the way the sconce would have been presented when new. 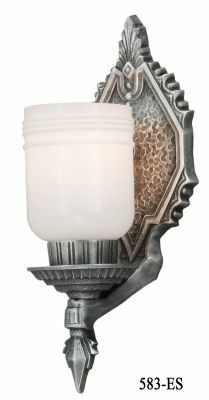 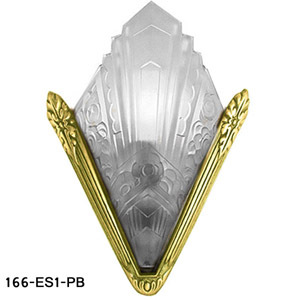 We also make this sconce in a nickel plated version. 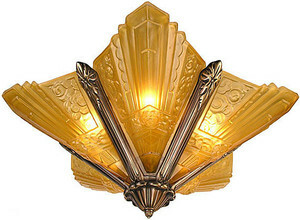 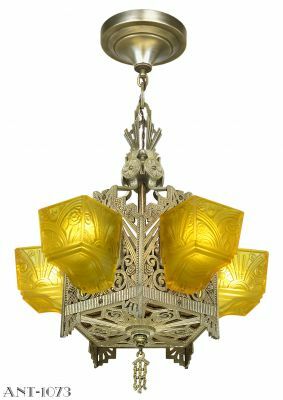 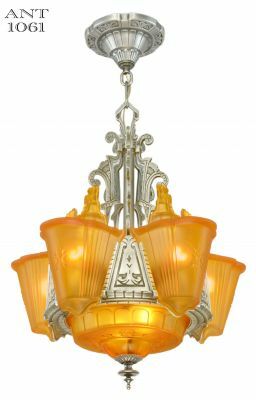 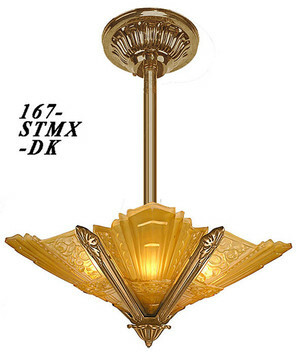 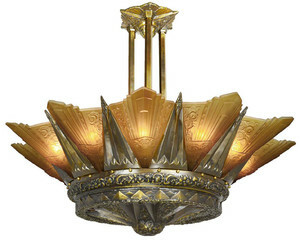 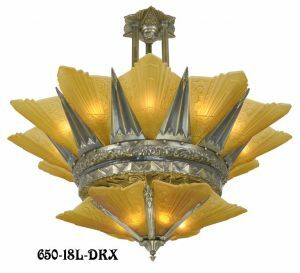 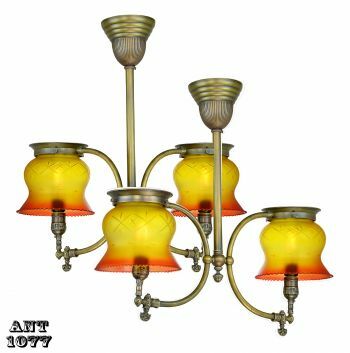 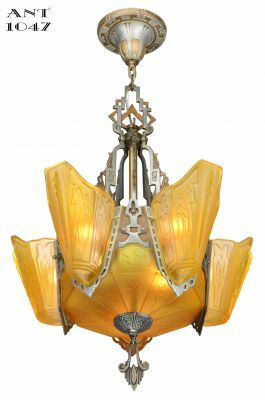 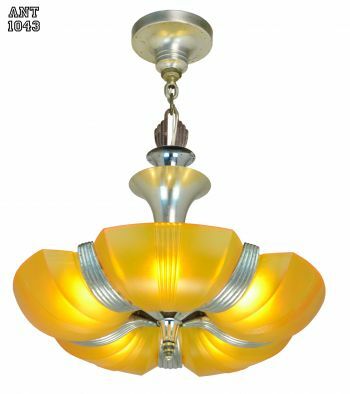 We also carry the matching French art deco chandelier. 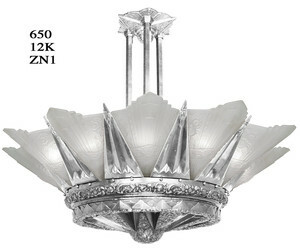 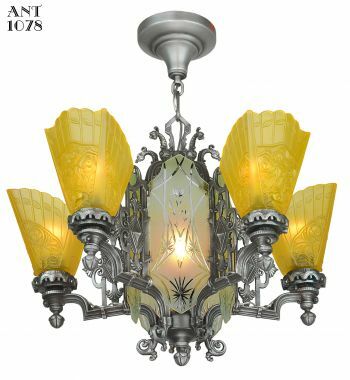 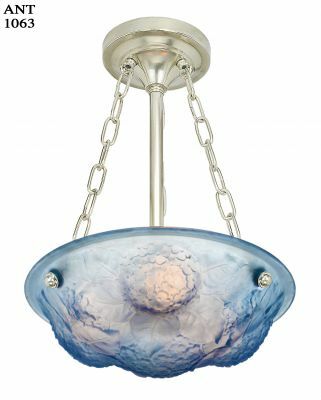 The chandelier is also available as a tall ceiling chandelier in several finishes, and both glass options.